After a week of videos showing PIZZA + MYSTERY INGREDIENT inventions, Boston Pizza has just announced on their Facebook page that they will be launching a new menu item: The Pizzaburger. – Pepperoni and Bacon Pizzaburger: Half-pound prime rib beef burger wrapped in a pepperoni pizza. Stuffed with bacon, pizza mozzarella and Boston Pizza’s signature pizza sauce, topped with even more pepperoni and pizza mozzarella and then baked to perfection. – Five-Cheese Pizzaburger: Half-pound prime rib beef burger wrapped in a cheese pizza. Stuffed with pizza mozzarella, cheddar, feta, asiago and pizza sauce, topped with parmesan cheese and baked. Finally was the video showcasing the Pizzaburger! I am very curious to see how this tastes and plan to head to a Boston Pizza in the next few days to try one out (UPDATE: here is my detailed pizzaburger review after trying one). On paper it sounds like such a great idea to combine two of North America’s most popular dishes. Now, I am just curious how it stands up in the taste department! Pizza or burger? At Boston Pizza, now you don’t have to choose. The pizza burger is now available at Boston Pizza as of April 1st, so get to a Boston Pizza soon to try one out! Boston Pizza approached me about the campaign and I thought it seemed like a really cool idea. I agreed to help spread the word as long as I could give away some gift cards to my readers to try the Pizzaburger for themselves. Also, Jim Treliving (owner of Boston Pizza) is one of my favourite dragons on CBC’s Dragon’s Den so I was happy to work with them! Even if you don’t like the idea of the Pizzaburger I still suggest giving Boston Pizza a try. They are one of my favourite spots to watch NFL games as they have a great TV setup and often give away prizes during the games. If you are looking for a food recommendation, my personal favourite menu item is their Thai Chicken Bites. 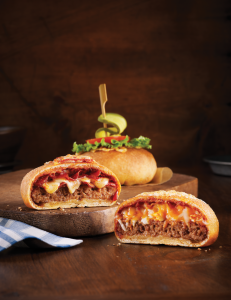 Two people will win $50 Gift Cards* to try Boston Pizza’s Pizzaburger for themselves. The contest will run for one week from April 1st at 1:30pm until April 9th at 12:00am when 2 separate winners will be selected. *Contest Rules: This contest is open to all Canadians except residents of Quebec (due to Provincial restrictions placed on Contests). You must be at least 18 years of age to win. The winner may be required to prove their identity/age and answer a skill testing question to claim the prize. This promotion is in no way sponsored, endorsed or administered by, or associated with, Facebook or Twitter. Multiple entries from multiple accounts will be disqualified. CheapDude.com reserves the right to exclude any entries that are found to be in violation of the contest rules. Looking forward to trying the pepperoni/bacon pizzaburger! I would like to try ANY of the Pizzaburgers!!! Those look awesome! Yes, I love PB can’t wait to visit them again! Of course I want to try the Pizzaburger!! um, yum! pizza and burger hybrid, i welcome you! Well, of course it must be the pizzaburger! I would want to try the Pepperoni and Bacon Pizzaburger – just because it sounds ridiculous! I love their BBQ Chicken Pizza. I usually get a small one, but if I’m feeling ambitious, I go medium. The Pizzaburger! The Pizzaburger! The Pizzaburger! Will give the PIZZABURGER a try. Like to try pizza burgers. Definitely the bacon, pepperoni pizzaburger with extra cheese. Sounds yummy! I want to try this pizza burger soooo badly! All of them! But if I have to choose, Pizza Burger. I have to try a pizzaburger. Maybe I’ll keep it simple the first time out and try the 5-cheese version. What isn’t good at Boston Pizza, i love the whole menu! wings! I love wings, I would order all their flavours, they sounds so good! The pizza burger looks intriguing!! I want to try the pepperoni/bacon pizzaburger! What menu item would I like to try most? WHAT MENU ITEM?! You just said PIZZA. And BURGERS. AT THE SAME TIME!!! I would like to try the Pizzaburger!! Pizza burger sounds awesome ! Would love to try the new Cheeseburger Pizzaburger. Not quite sure of it, but would still try it once. I’d like to try the Five-Cheese Pizzaburger. I’d love to try their Sante Fe Salad. Yum!! i would love to try the perogi pizza! any of the burgers looks yummy! Going to a meetup in a couple of weeks at the Boston Pizza in Oakville. Have heard great things about their chicken wings and of course their pizza! Pizza burger. Dude, how could I not want to try that the most! Looks delicious!!! Can’t wait to try the new pizza burger from BP, these are a few of my favourite things. The new pepperoni pizzaburger would be nice to try! I love to try their Slow-Roasted Pork Back Ribs. I’d love to try one of their burgers. Pizzacheeseburger sounds pretty good and filing..That’s what I want to try. OMG The Pizzaburger looks phenomenal! I want to try the BBQ Chicken Pizza. That sounds really good. I’m not sure about the Pizzaburger….seems like a little too much going on. An interesting idea for sure. It seems to have lots of other people excited. Enjoy! While the pizza burgers look interesting, I’d really like to try the jambalaya fettuccini. That sounds so good! The pizza burger looks good. I would like to try the new pizza burger. WOuld love to try their Bacon-Wrapped Steak Skewers. 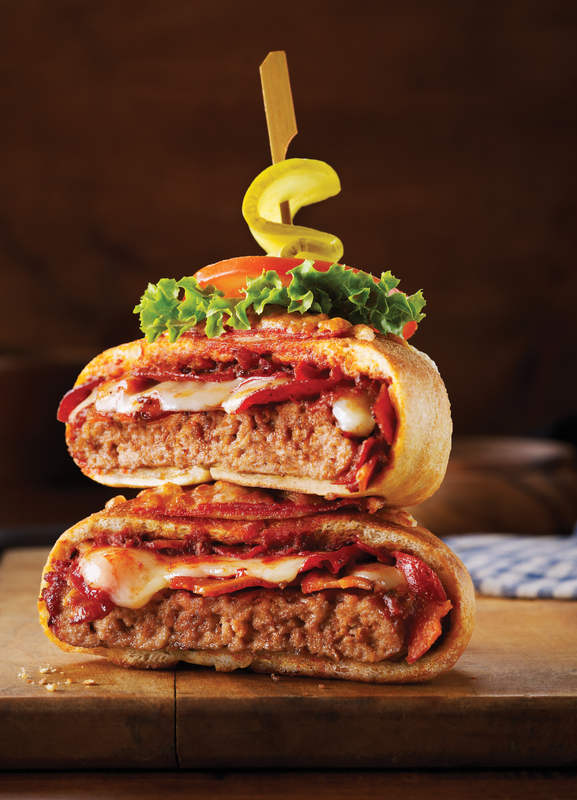 I want to try the Boston Pizza PizzaBurger!! Yum!! Pepperoni and Bacon Pizzaburger sounds great to me! I would love to try the Buffalo chicken sliders. They sound delicious. I would like to try the 5-cheese PizzaBurger although I could feel my arteries clogging just reading about it :)! The Pepperoni and Bacon Pizzaburger is the item I would like to try the most at Boston Pizza! I want the Pepperoni and Bacon Pizzaburger !!!! I want to try a pizza burger! I look forward to giving it a try! I’d try their “BP’s Prime Rib Burger.” Sounds delicious. Of course I must try this Pizzaburger! Also, I’d like to try the Chicken Stromboli. I miss their boneless spicy chicken wings, but the Pizzaburger will be my reason to revisit. I would LOVE to try the Pepperoni and Bacon Pizzaburger! I’m starving and I need a Pizzaburger right now! I NEED to try that Pizzaburger! I am in favour of any new burger. I would really like to try this pizzaburger. I would like to try the pizza burger. Looks great. I’d like to try the Pesto Chicken Penne. The pizza burger sounds cool! Oh, the pizza burger would be my choice. I would have to try the new Pepperoni and Bacon Pizzaburger. All my favorites wrapped up in one. My sig. Other is dying for the pizza burger….with this giftcard we will both indulge! Without a doubt, the Five-Cheese Pizzaburger. Who can turn down that ridiculously cheesy goodness!! I’d love to try the Pizzaburger. i really like the nachos! Now I want to try the pizzaburger. The pizza burger really looks yummy. I would give that a try. I LOVE pizza, burgers and cheese so I can’t wait to try the five cheese pizzaburger! the Pizzaburgers look awesome! i’d also love to try the Blue Cheese and Bacon Prime Rib Burger. The new pizzaburgers sound great, I’d try those. I’d love to try the new pizzaburger!